The pathway will enable you to discover a different Algarve: the countryside, calm and green, contains typical villages and splendid landscapes. It crosses Algarve from east to west. This path comes from the old road which led the pilgrims to the point of Sagres where the relics of St Vincent were found. From Alcoutim, on the bank of Guadiana river, until Saint-Vincent cap, there is nearly 300 km divided in 14 sectors starting and finishing in localities with housing and food services. Along the west coast, this broad walking trail extends on approximately 340 kilometers, going along one of the most beautiful preserved coastal areas of Europe; it is composed of two routes and will surprise you with the variety of the landscapes. 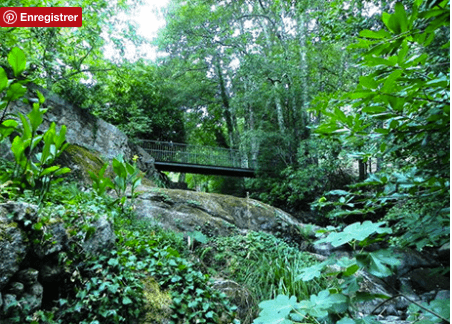 The “historical path”, of 241 km, is the longest route connecting Santiago C Cacém to the São Vicente Cap. It is a rural route, with thirteen stages, passing by forest roads, small towns and villages with centuries of history and which can be crossed by foot or bicycle. 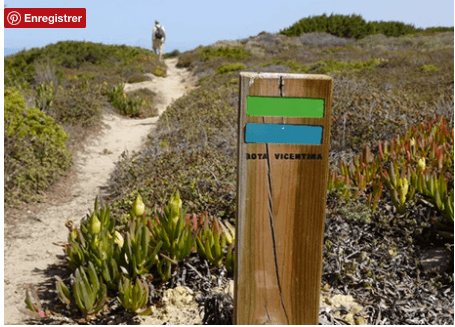 The “path of the fishermen” always follows the sea by routes giving access to beaches and villages of fishermen, on 111 km, between Oporto Covo and Odeceixe. It is an exclusively pedestrian road, more challenging physically, which is organized in four stages and with five complementary routes.